Joseph Stimson was born at Fairfield on 1 January 1851, son of William Stimson and Eliza. In 1875 he married Barbara Stuart Reid at Glebe. There were five sons and three daugters of the marriage. One of his sons was employed as an engineer by the City of Sydney Council in the early 20th century. In 1909, Joseph Stimson and his wife moved to 7 Kardinia Road, Mosman (Clifton Gardens). He died at Clifton Gardens on 10 September 1935, aged 84 years. Barbara Stimson died 29 April 1935, aged 84 years. Stimson joined John Bardsley & Co about 1874, and acquired and operated its Glebe grocery for about 20 years before opening an office at 47 Glebe Point Road Glebe as a house and land agent in 1895, operating there until his retirement in 1928 when his sons continued the agency. Trading as J Stimson & Sons the estate agency operated in Glebe for more than 80 years.Secretary of Starr Bowkett Building Society he managed 400 to 500 inner city properties in 1912 when he told an inquiry many investors were disinclined to invest ‘because of the tendency to loss’. He left an estate valued at 30,390 pounds for probate purposes. 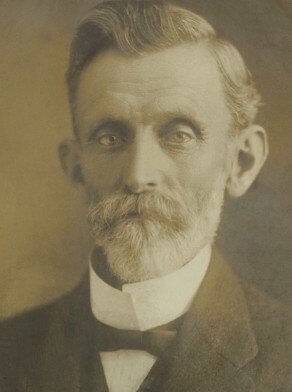 Stimson was Treasurer of Glebe Benevolent Society for more than ten years and an active temperance worker for Campbell Street Church of Christ, Sydney for 60 years. He was also a partner of biscuit manufacturers, Hackshall & Co, Parramatta Road, Glebe. He was a vice-president of Glebe Rowing Club of which son Jimmy was captain in 1909.